Emphasise the importance of washing hands before meals; after using the bathroom; after touching or playing with pets and animals; and after coughing, sneezing, or blowing your nose. Little kids (and big kids, too) need lots of reminders, but all those gentle nudges toward the sink are worth it. Fill your fruit bowl with oranges and mandarins. This will encourage the family to snack on them, keeping their immunity up while also being a delicious recess and after school snack. Juice them in the morning to enjoy with breakfast too. A blended soup can combine all the delicious ingredients your kids love, with some extras that they don’t need to know about! 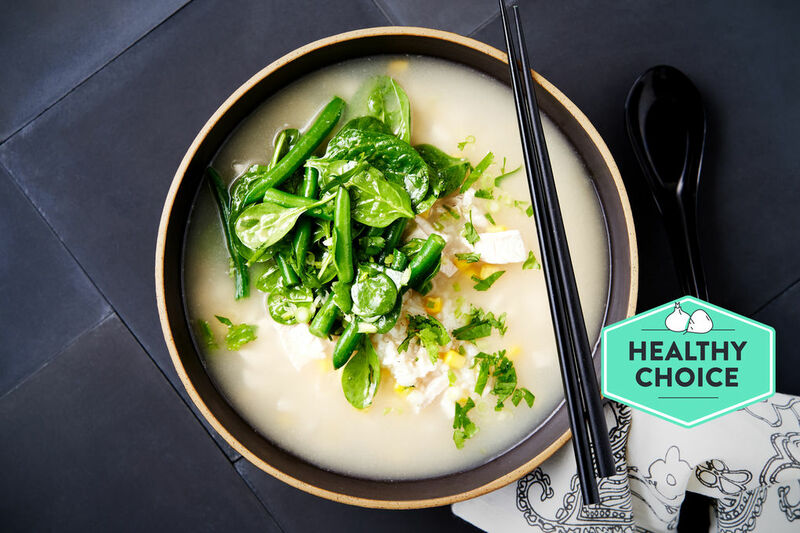 Soups are warming, comforting and full of nutrients - like our Chicken and Sweet Corn Soup with Miso Green Beans. Farm to Plate - Educate! We know a lot of families struggle to get their kids eating vegetables. The struggle is real, and it is well documented that children's taste buds aren’t always ready for the complex flavours of some produce. But one way to encourage older kids (without force feeding) is to teach them about how the food system works. By explaining that the food on their plate has come from a farm nearby, and is grown on a tree/in the ground, and is full of all the things they need to grow big and strong, they’ll feel more connected and less grossed out by the veggies. At Marley Spoon, we’re passionate about disrupting the food system - by bringing farm fresh ingredients straight from the source to your door. Fresher, local and seasonal. Explaining how our boxes arrive at your front door is definitely a simpler way to explain a complex process. If that fails, get more stealthy! If you’re not adding extra veggies to favourites like spaghetti bolognese, you’re missing a golden opportunity – try slipping in extras like capsicum, carrots, celery, zucchini and mushrooms. Or try serving our upcoming Japanese style pork spag bol or mac and cheese! Add small diced veggies to other kid-favourite meals like chilli con carne, shepherd’s pie and hearty winter stews and casseroles where the flavour of the veggies are absorbed into the meal.